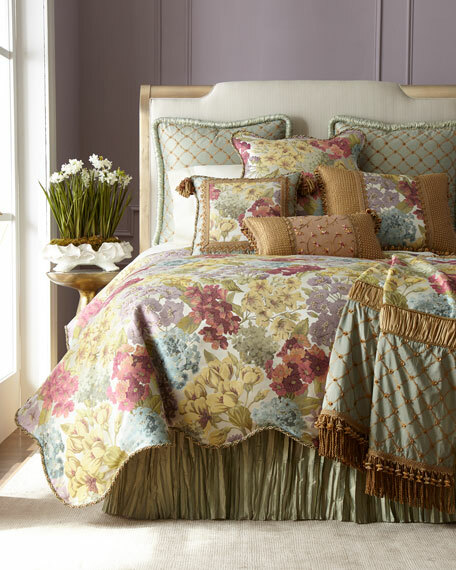 Floral duvet in fresh spring colors has scalloped edge. 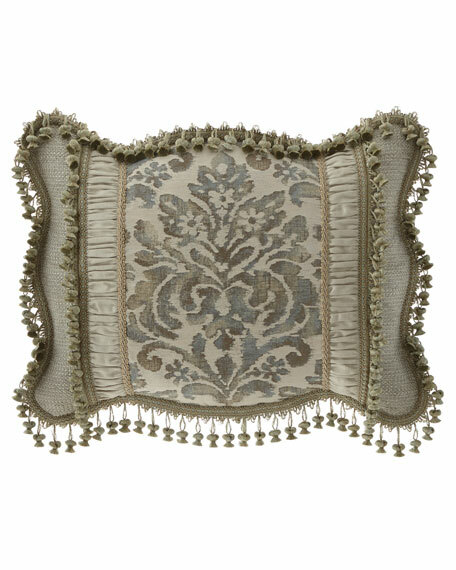 Embroidered trellis sham embellished with chenille tufts. 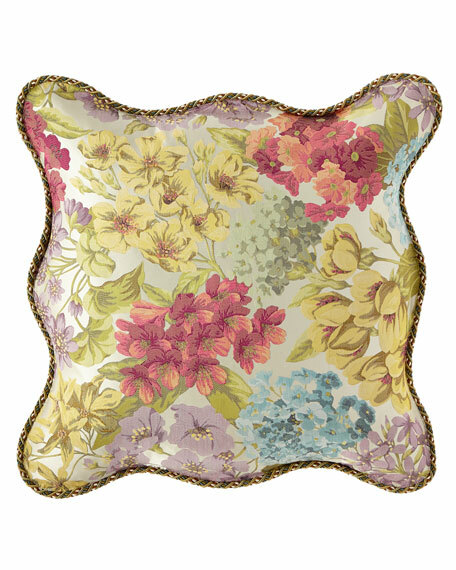 Floral sham with scalloped edges and twisted cording finish. 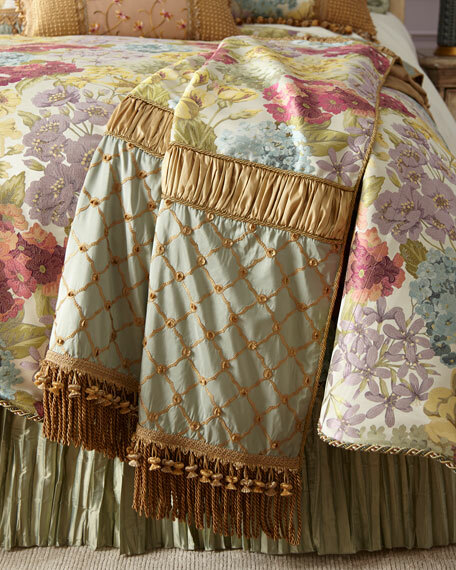 Pieced sham with floral center and beaded silk sides. 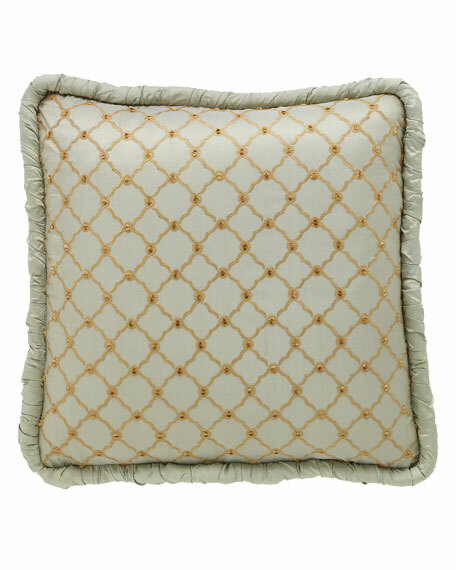 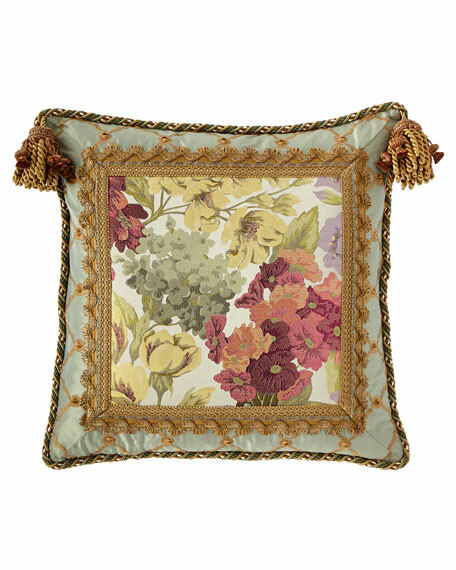 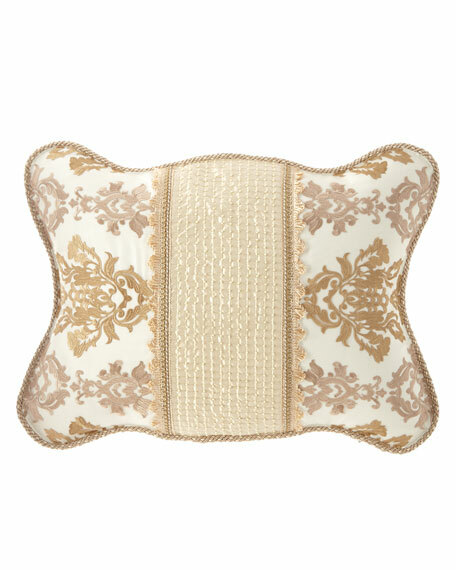 Pieced boutique pillow with floral center and embroidered silk border. 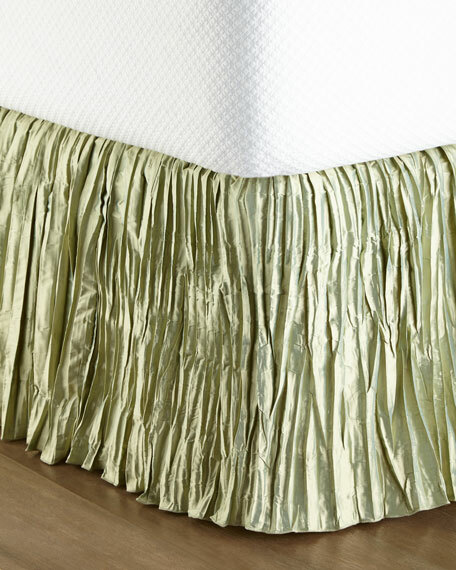 Jumbo tassels on top corners. 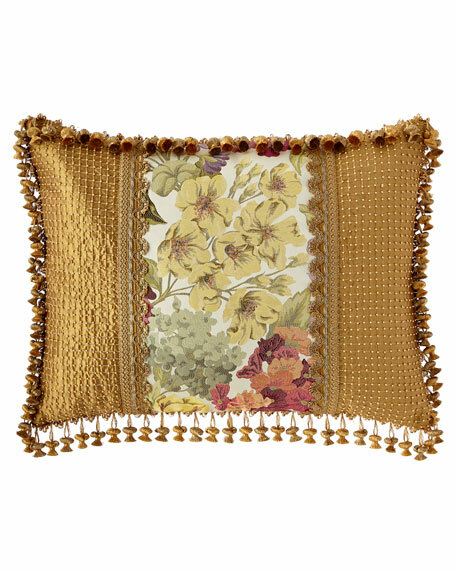 Pieced oblong pillow with embroidered French lace center. 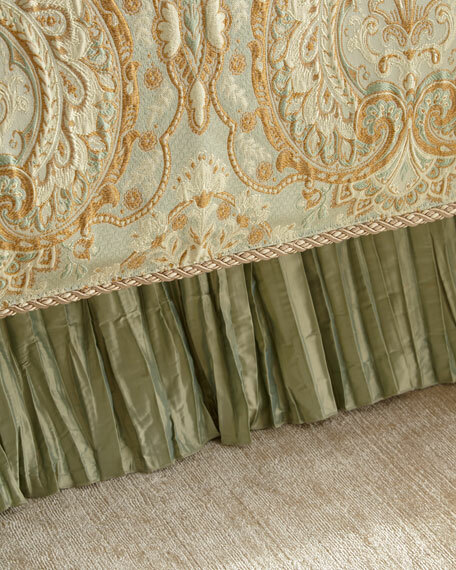 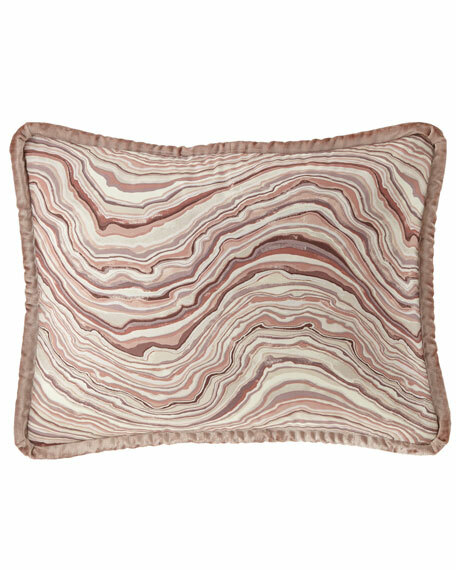 Beaded silk sides and onion fringe finish. 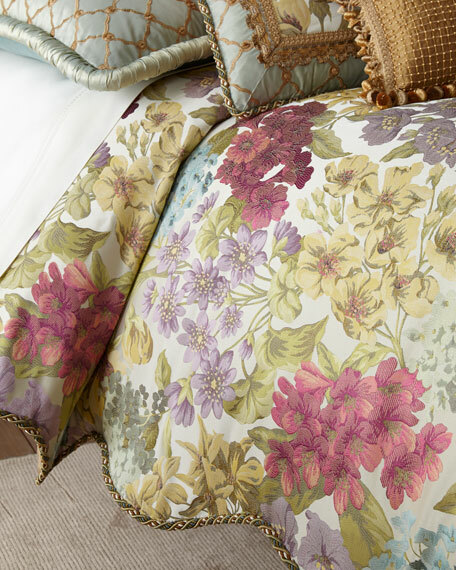 Pieced floral throw with embroidered silk sides. 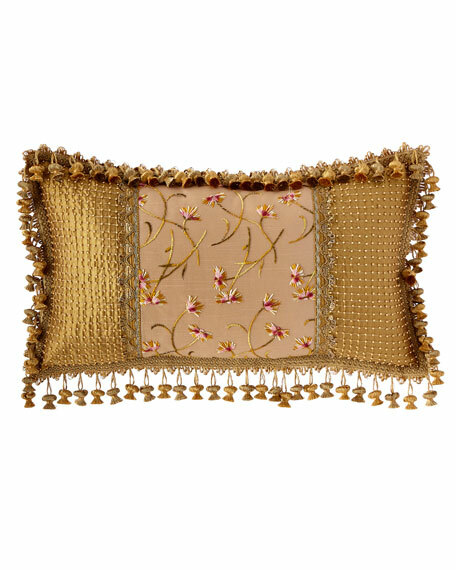 Gold bullion and onion fringe accents. 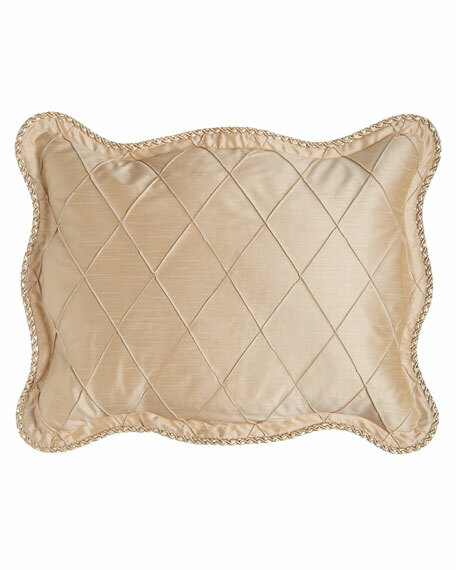 Diamond pintuck sham with corded scallop edge.Dry clean.Made in the USA of imported polyester.